Over the years we have picked up a few recipes for camp cooking from people we have come across or camped with on our travels, here are a few you might want to try if you haven’t already. There is something special about tucker that has been cooked over an open fire, and we all like a good billy tea. We always carry our portable fireplace with us where ever we go and always set it up when we camp. Every camp needs a camp oven, we carry two camp ovens everywhere. 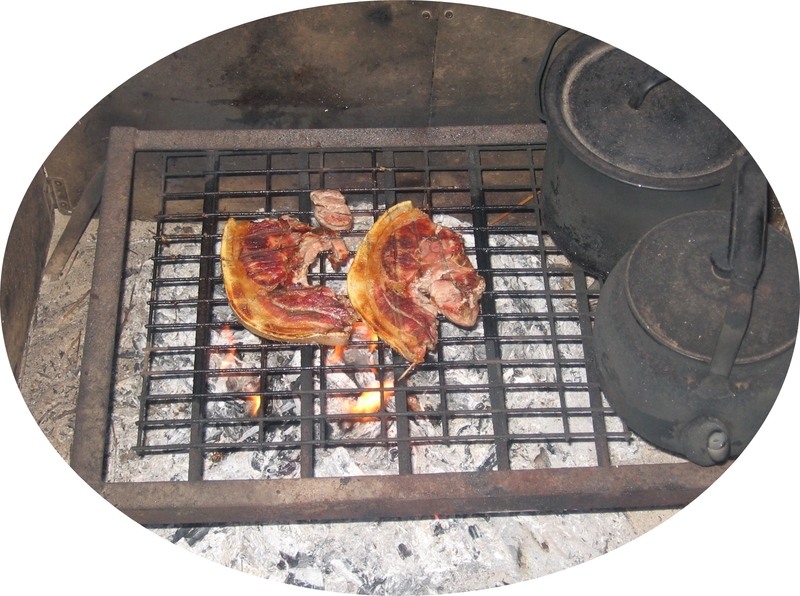 The old camp oven is not just used for dampers and stews it has many uses, there are plenty of camp oven recipes out there when you start looking. They are great for roast meats of any sort, scrambled eggs or roasting almonds ( hot roasted almonds are always a hit at happy hour, just put a spoon of oil and some salt in your camp oven on a hot fire, add the almonds and keep stirring them until they are roasted). You can easily convert your camp oven into a smoker for smoked chicken wings or fish.